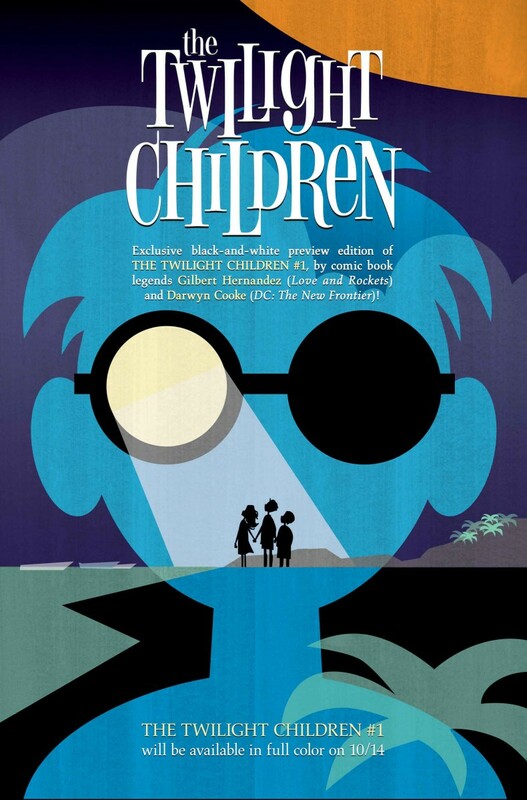 Looking forward to the launch of Vertigo’s THE TWILIGHT CHILDREN by the legendary Gilbert Hernandez (LOVE AND ROCKETS) and Darwyn Cooke (DC: THE NEW FRONTIER)? If you can’t wait until the official release of the first issue on October 14 (and we don’t blame you! ), fans can read an exclusive black and white preview of the first issue on September 30. The black and white preview will be included with the digital purchase of Neil Gaiman’s THE SANDMAN: OVERTURE #6, which is the final issue of Gaiman’s prequel story to THE SANDMAN – his magnum opus which started 25 years ago. THE TWILIGHT CHILDREN is a surreal story wherein a woman emerges from a strange white orb that washes ashore and her presence transforms the lives of the villagers of a small fishing community in Latin America. Fans of Gilbert Hernandez’ award-winning magical realism and Darwyn Cooke’s kinetic, masterful storytelling will not be disappointed. THE TWILIGHT CHILDREN is part of Vertigo’s new Fall slate consisting of 12 series that will release over 12 consecutive weeks starting in October. Preorders for the official release of issue #1 are now available. YOUNG ANIMAL introduces new talents and comics!